The most economical thing to do with millions of gallons of unusable water is to put it back underground. But the water cannot simply be put back where it came from, because of the flood of earthly liquids being pumped out. So it’s put somewhere new. 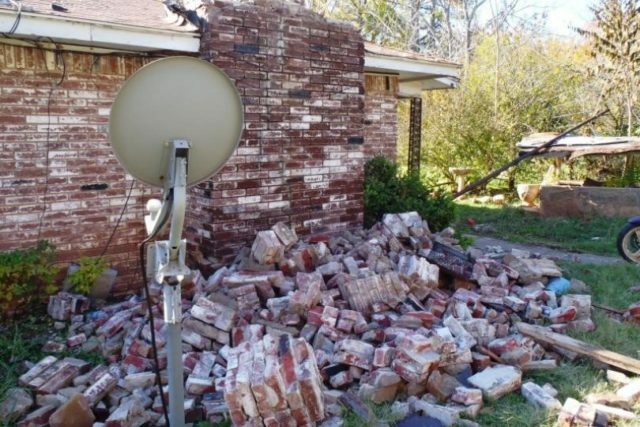 What can be done to stop or slow the earthquakes? In spite of the recent 5.8 record-breaking temblor, earthquakes have slowed. 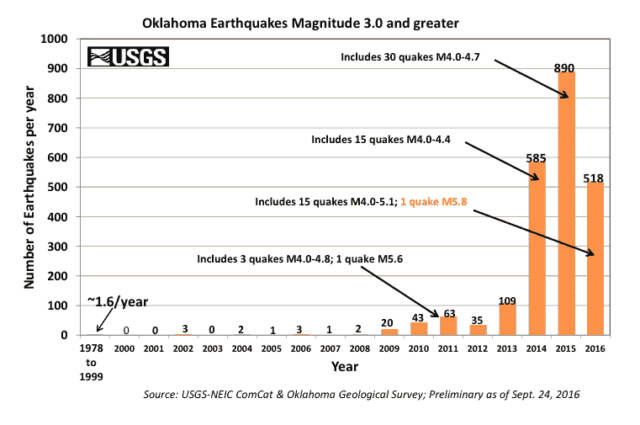 At present, says Boak, the USGS is measuring two and a half noticeable quakes a day. I was born in Muskogee Oklahoma in 1939. Please tell me about any recent quake activity in or near there. Anywhere in Muskogee County. But especially in the City of Muskogee. And I have cousins in Tulsa, about 60 miles away. So what is happening in Tulsa? Information much appreciated. My family are buried in Muskogee’s Memorial Cemetery out west of town, I remember. I will be planted there someday too. Thank you for info! MMZ. Jan 30, 2017. Is this comment submissable? Info much wanted.